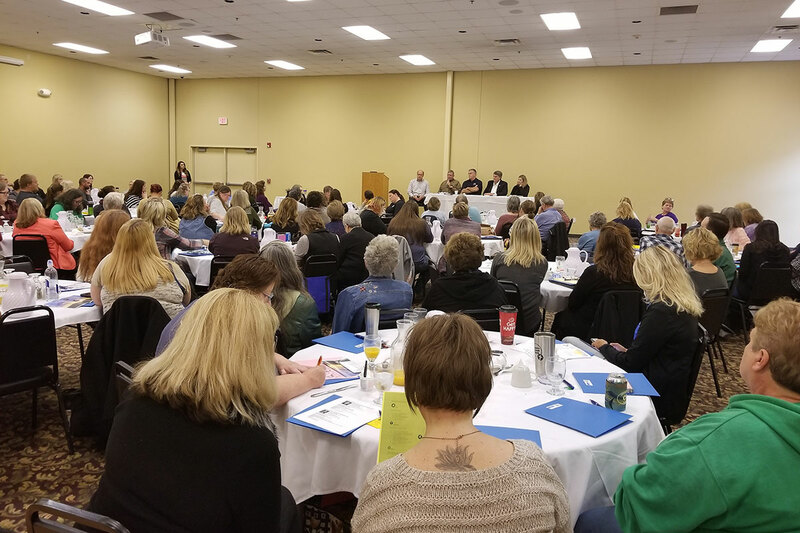 More than 150 people gathered at the Broadway Ballroom Event Center in Alexandria last Friday to discuss issues surrounding mental health services in Minnesota and in the five-county region. Included in the discussion three Minnesota State legislators and the Assistant Commissioner of Community Supports Administration, who spent the morning discussing the issues with attendees and listening to the personal stories of individuals whose lives have been affected, in some way, by mental illness. The “Seventh Annual Day at Home in Region 4”, was sponsored by the Region 4 South Adult Mental Health Consortium (AMHC). The annual event is designed to bring Legislators and their constituents together to engage in constructive dialogue on mental health issues, as well as put a personal face on mental illness in the region. The event also provides a forum to educate people involved with the mental health system on how to effectively interact with their legislators. The entire event is viewable by clicking on the links below. Kesha Anderson, Director of the Region 4 South Adult Mental Health Consortium, gave opening remarks and introduced guest speaker Claire Wilson, the Assistant Commissioner for the Community Supports Administration. Afterward, author and keynote speaker Lanelle Vasichek delivered an empowering talk on having your “Best Day Ever”. Kesha Anderson, Executive Director of Mental Health Minnesota, moderated a dialogue with Minnesota Legislators. In addition, numerous individuals shared their personal stories and experiences with mental illness.